An exhausting couple of days for hockey fans is now over as the 2015 NHL trade deadline has now passed. The obvious question is who came out looking smart and who came out looking, well, not so smart? On my winners list coming out tomorrow you will see teams who were trade partners at the deadline because sometimes trades are good for both teams. On the other hand the losers list doesn’t necessarily include teams who made bad trades but simply teams that didn’t make enough moves. We begin tonight with the L-seven weenies. As mentioned recently, the San Jose Sharks have arguably the most lethal power-play unit on paper in terms of big name stars. It is difficult to imagine why a team with Joe Thornton, Patrick Marlreau, Logan Couture, Joe Pavelski, and Brent Burns would be sellers at this years trade deadline. However, with incredibly bizarre moves over the last 10 months by management, the Sharks have had a season to forget this year. They are one of the worst teams in five on five scoring differential and their penalty kill has fallen into the bottom third as well. Instead of making a Stanley Cup push by acquiring a top four defenseman and returning Burns to forward where he dominated the league, the Sharks sold off a few pending unrestricted free agents. 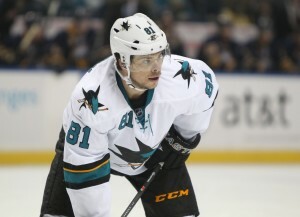 They traded out James Sheppard on Sunday, and both Andrew Desjardins and Tyler Kennedy on Monday. GM Doug Wilson told the media he believes he got a good return but that simply isn’t the case. The Sharks acquired an injured Sheppard for a third round pick four years ago and got a fourth round pick back with him healthy and playing on their third line. 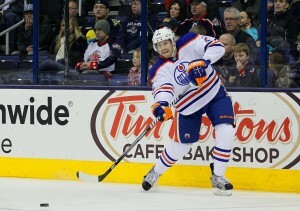 Desjardins was swapped for an equal caliber, albeit different style fourth liner and a conditional seventh. Kennedy, who was acquired for a second rounder two years ago fetched basically a seventh round pick unless the Islanders win the Stanley Cup. Wilson can spin it out however he likes but that is a terrible return. Not only did San Jose fail to get higher picks for their free agents but they failed to move their most high profile one in goaltender Antti Niemi. It is pretty clear the organization wants to try something new between the pipes next year and they couldn’t even get a third rounder for Niemi? The Islanders acquired Michael Neuvirth for a third round pick to backup Jaroslav Halak for the stretch run. Despite their struggles San Jose is only a few points out of the playoffs and could have made a push with a rental or two. The Capitals are in a push to make the playoffs but while many other Eastern conference teams got better, Washington didn’t do much. Considering the 2015 NHL draft is being called one of the deepest drafts in years, it is surprising that Washington gave up three 2015 mid round draft choices to acquire Curtis Glencross and Tim Gleason. Then again, we are talking about the same GM who signed Brooks Orpik to a five year deal with a 5.5 million dollar cap hit this summer. 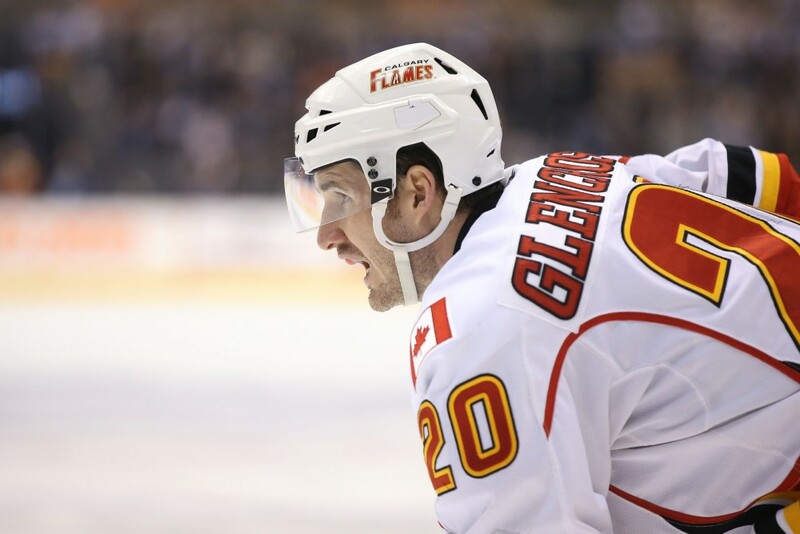 Brian MacLellan gave up a second rounder and third rounder in 2015 for Glencross. The now former flame forward’s carer high point total was 48 back in 2011-12 and he is normally a low 40s point type guy. A second round pick in 2016 would be pretty fair value but both a 2015 second and third for a top-9 rental? Definitely an overpay. As for Gleason, the long time Hurricanes defenseman isn’t a bad pickup but giving up another 2015 draft pick (fourth round) for defenseman averaging less than 17 minutes per game? Gleason was seventh in ice time among Canes’ dmen and behind four of their forwards. The Capitals looking to bolster their lineup for a stretch run could have done a whole heck of a lot better for the draft choices they had to give up. Put it this way, many in the media thought that Jaromir Jagr would be a good fit back in Washington and the Panthers acquired him for less than the Capitals paid for Glencross. The Panthers likewise gave up a second and a third but the third they gave up is for the 2016 draft, not 2015. Glencross fetched more than Jagr? Capitals are definitely one of the trade deadline losers. 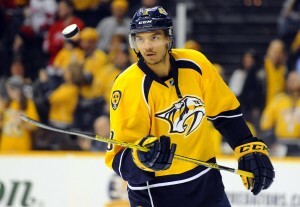 The best team in hockey, yes, the Nashville Predators are on my loser list. Yes they reacquired defenseman Cody Franson and added Mike Santorelli but they could have really used an impact top-6 forward. Yes, the Predators have not struggled to score goals this year but if there is one weakness on this team, what would it be? Between the pipes they have one of the best goaltenders in the world and on defense they have arguably now six, top-four caliber defensemen in their lineup. Defensively they are stacked, they even have a surplus. At forward though they could have used one more premier scorer. While other West contenders like the Blackhawks, Kings, and Blues addressed some of their deficiencies, the Predators sat back quietly. Had they been able to use their defensive surplus to acquire a top-6 forward, say someone like Phil Kessel or I don’t know, Joe Pavelski, that would have catapulted them into Stanley Cup favorite category. Nashville is a nice story this year, but not convinced they have the firepower up front. What will be the Montreal Canadiens downfall you ask? They simply can’t score. The Canadiens are 18th in the NHL in goals per game and the only forwards they picked up at the deadline were depth guys. They gave up promising rookie Jiri Sekac to Anaheim for Devante Smith-Pelly who has disappointed with Anaheim. And today they acquired fourth liner Torrey Mitchell. While picking up puck moving defenseman Jeff Petry for a second round pick and conditional fifth is a good move, it isn’t enough. 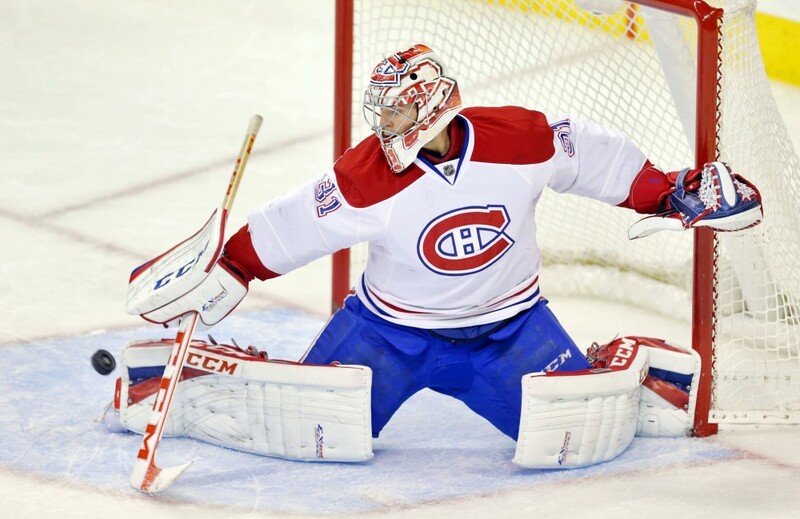 Goaltender Carey Price is still going to have steal tons of games in the playoffs if the Canadiens are going to make any noise in the postseason. After it took a prospect and a first round pick for the Kings to acquire Andrej Sekera, after Braydon Coburn fetched a first round pick and more, the Edmonton Oilers were only able to get a second rounder and conditional fifth for Petry? Petry was wanted by a number of teams as a second pair puck moving defenseman. Even the above mentioned Capitals spent more to acquire Glencross, a second-third line tweener on the wing. The Oilers could have done a whole lot better in return than that for Petry’s services.